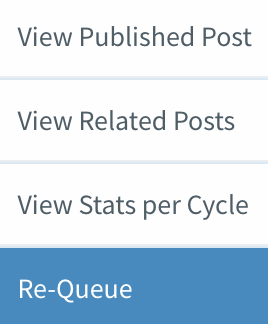 You can edit any post in your queue before it’s posted in a few simple steps. How Do I Edit A Post For Multiple Social Profiles? Can I Edit Past Posts? Can I Bulk Edit Posts? Navigate to the post you’d like to edit, and click the ‘Pencil’ icon to edit the post. 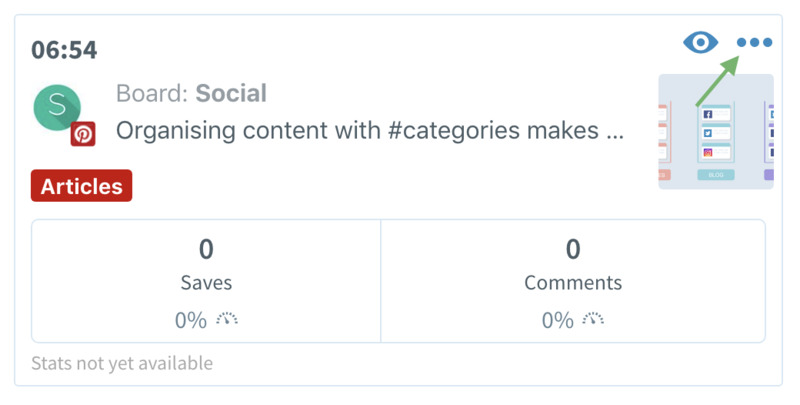 This will open the Post Editor, where you can edit any of the parameters of your post, including post text, image, category, timing, and Evergreen settings. When you’re done simply click Save and the post will be updated and reflected in the Queue. If you only changed the post content, its position in the queue will stay the same. If you edited the scheduled date of the post or the category, its Queue position will be updated accordingly. If you created a post for multiple profiles at the same time, they will be saved as separate posts. This is because you can customise the text for each profile, as well as publish them on separate schedules. 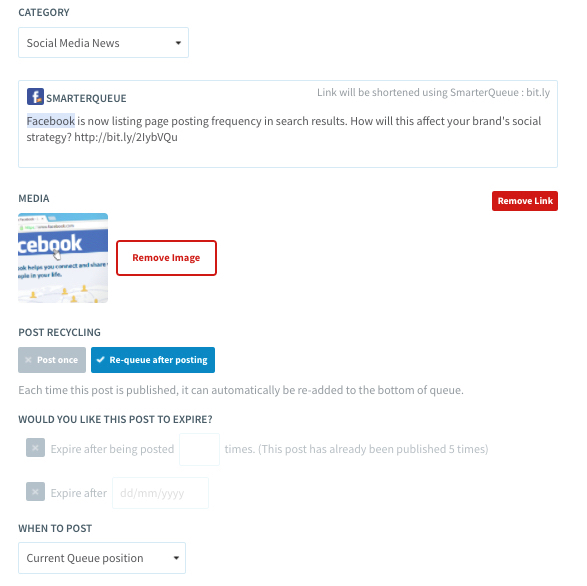 To help you edit a post across multiple profiles, click on ... to see more options. Then, choose View Related Posts, which will show all other posts that are related to this one (e.g. duplicate posts, or versions of this post on other profiles). We know which posts are related because they were created at the same time. You can click on each version, in turn, to edit the post and then return to the list of related posts, making it easier to edit multiple versions quickly. If this is a post you have scheduled to recycle just follow the steps we have laid out earlier. If this is a Post that is not recycling, but you want to edit and re-add to your Queue that is possible as well.